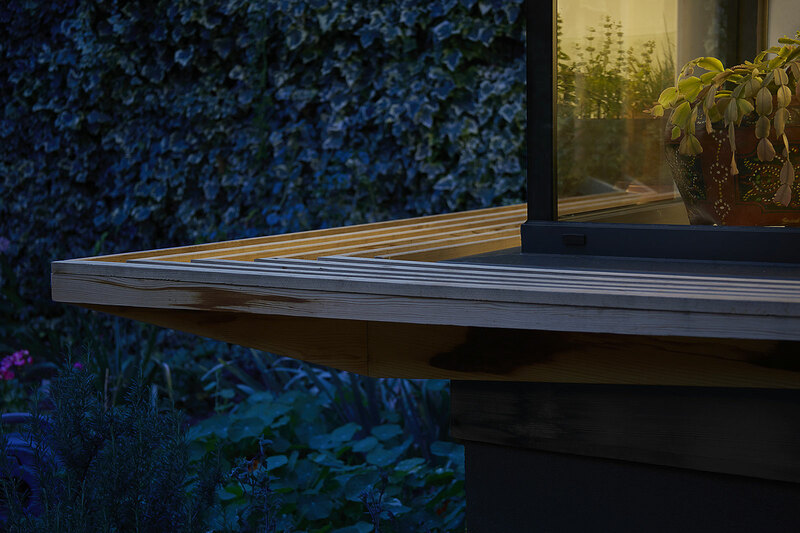 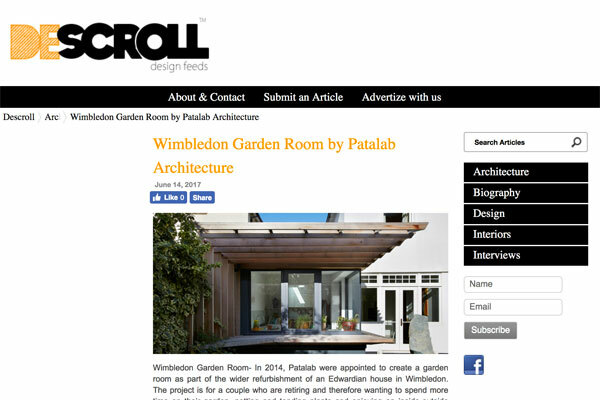 'Patalab was appointed to create a garden room as part of the wider refurbishment of an Edwardian house in Wimbledon. 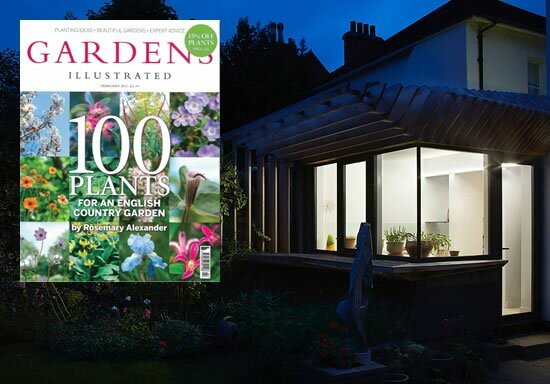 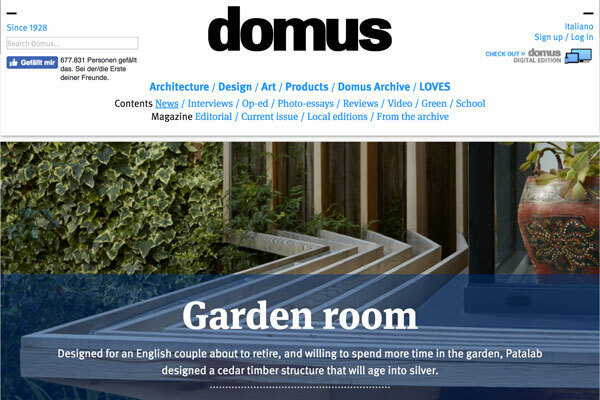 The project is for a couple who are retiring and therefore wanting to spend more time on their garden, potting and tending plants and enjoying an inside-outside space as part of their home. 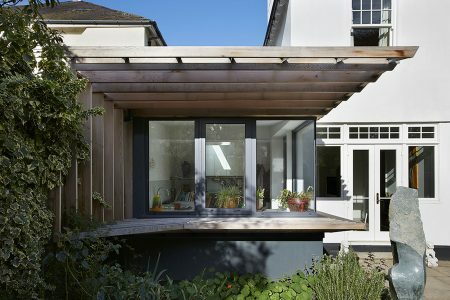 The new garden room was thus a focal part of the overall project. 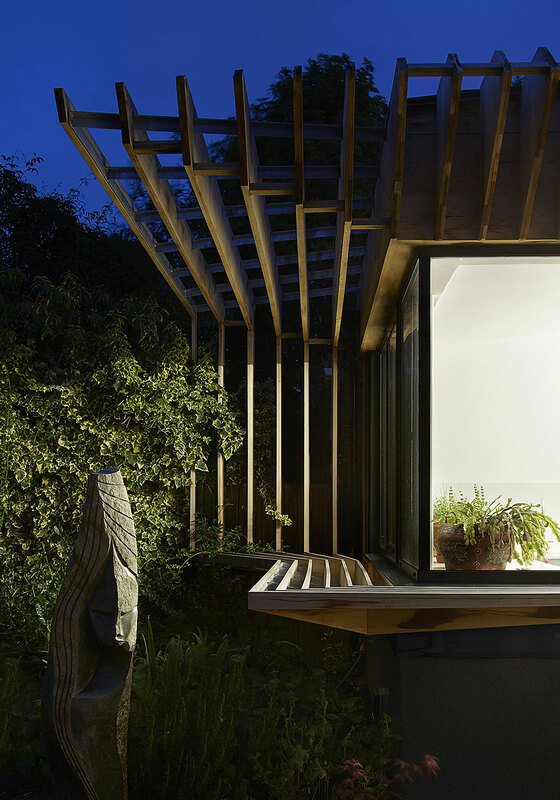 We opted for a pavilion-like timber structure for the room that is distinct and also in keeping with the tradition of light buildings within gardens. 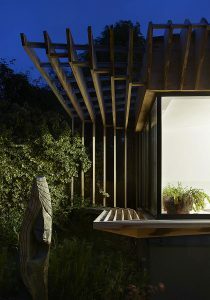 The pavilion is composed of 36 cedar fins that will age beautifully into a silver colour. 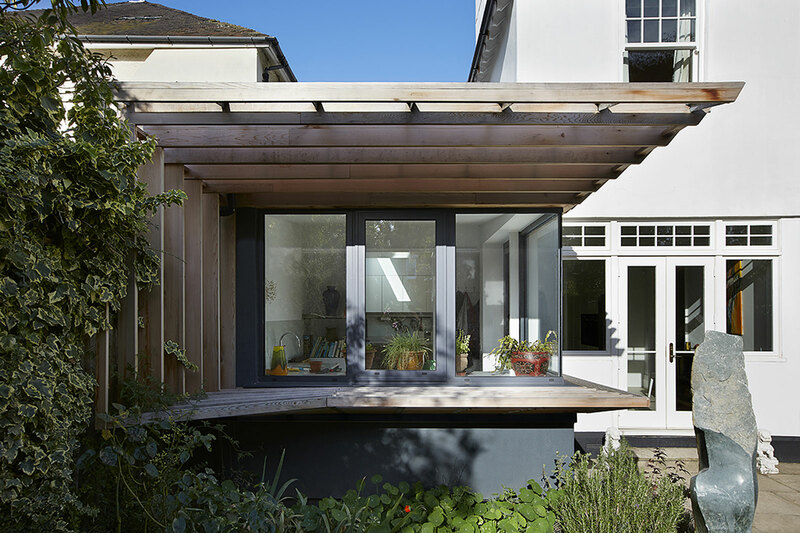 The series of fins have been designed to be denser when closer to the existing house and gradually spread out towards as the structure opens up and “dissolves” in the way it addresses the garden. 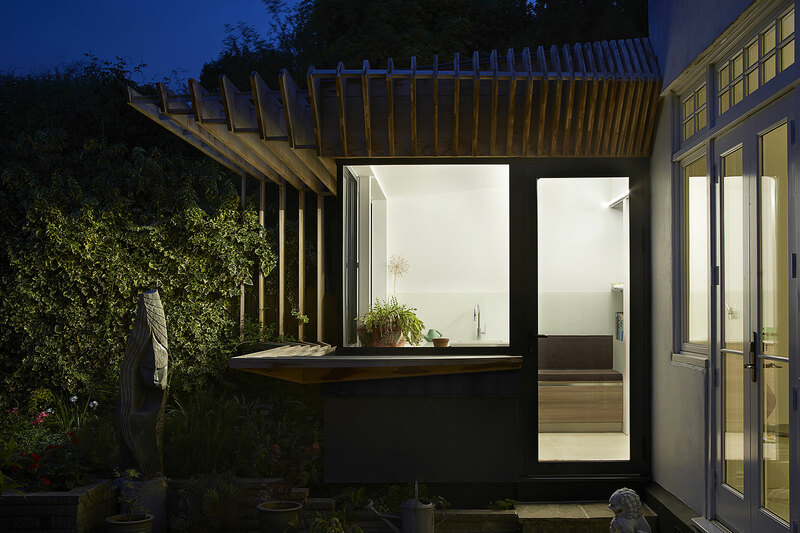 The project has been a close collaboration with engineers Structure Mode. 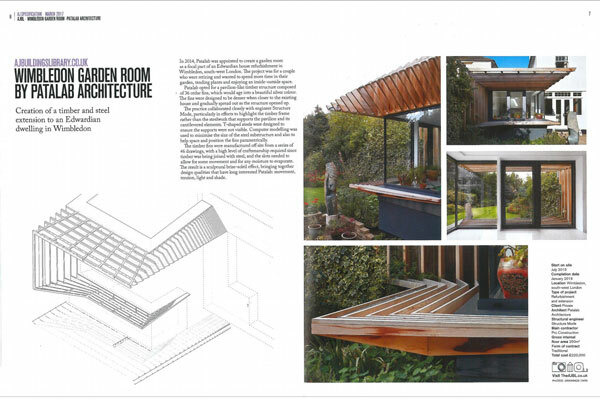 An important consideration was highlighting the timber frame rather than the steelwork that supports the pavilion and its cantilevered elements. T-shaped steels were designed to ensure the supports were not visible. 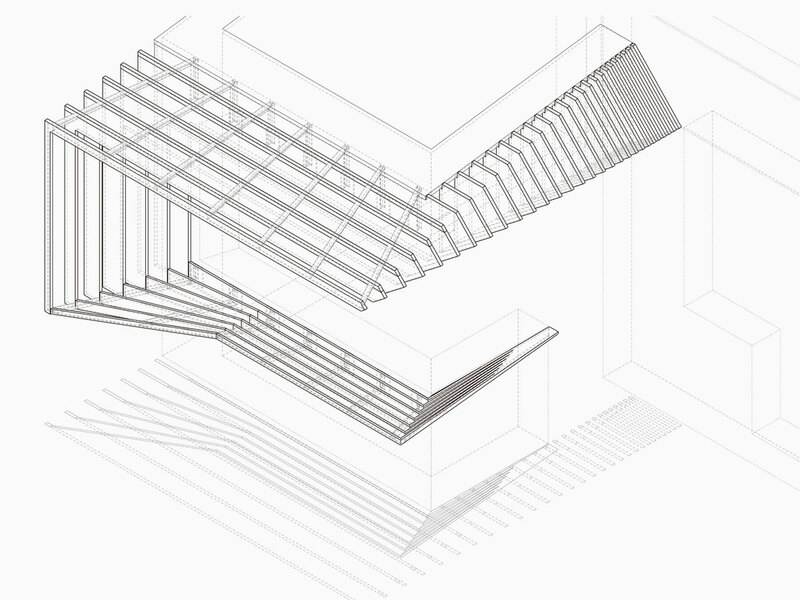 Computer modelling was used to minimise the size of the steel substructure and also to help space and position the fins parametrically. 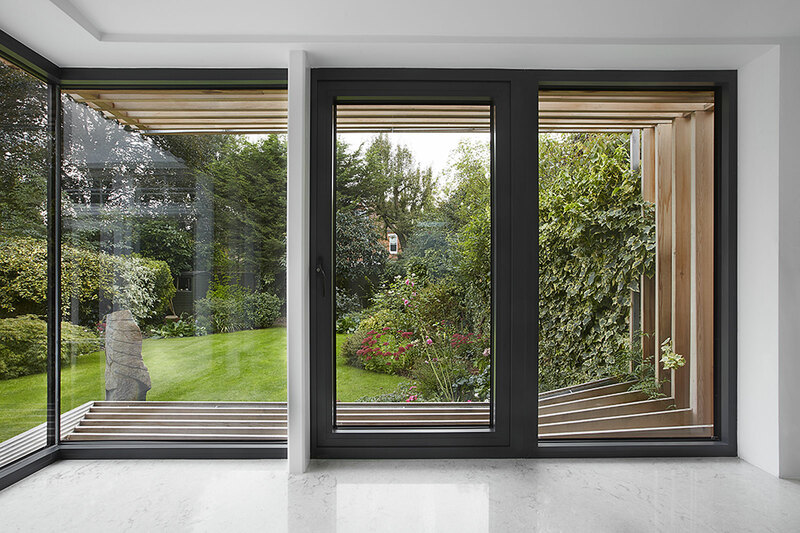 The level of craftsmanship required was significant given that the design team were joining timber with steel and the slots needed therefore to allow for some movement and for any moisture to evaporate. 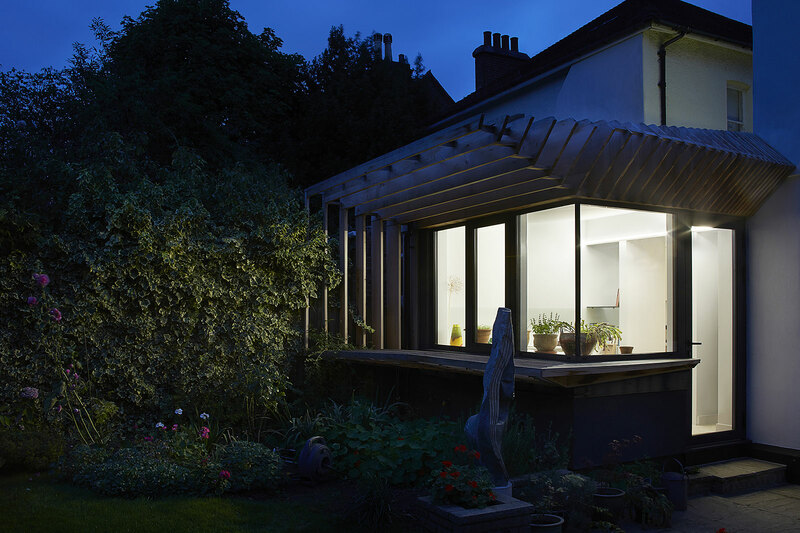 The result is a sculptural brise-soleil effect that brings together design qualities that have interested Patalab of the years: movement; tension; light and shade.